Krishnan and I visited Germany in September and spent almost 20 days travelling across the country. We were amazed at their engineering skills especially with the automobiles. Then our friends Keshav and Anu took us to a hypermart and I discovered the German made stainless steel vessels. It was difficult to peel me off the store !!! I ended up buying a couple of saucepans and then structured a deal with Anu that she will buy me a few more things :):). I had seen a set of heavy casseroles that you could cook and serve in and wanted to buy them. They were quite big and we didn’t have as much space in our luggage so I let them go. But, they were stuck in my head. I started searching on Amazon and realised that Vinod makes these triply steel vessels but the feedback for their vessels was middling. Then I came across Bergner, a German brand endorsed by celebrity chef Vikas Khanna and bought a casserole that ended up being beautiful but very huge. 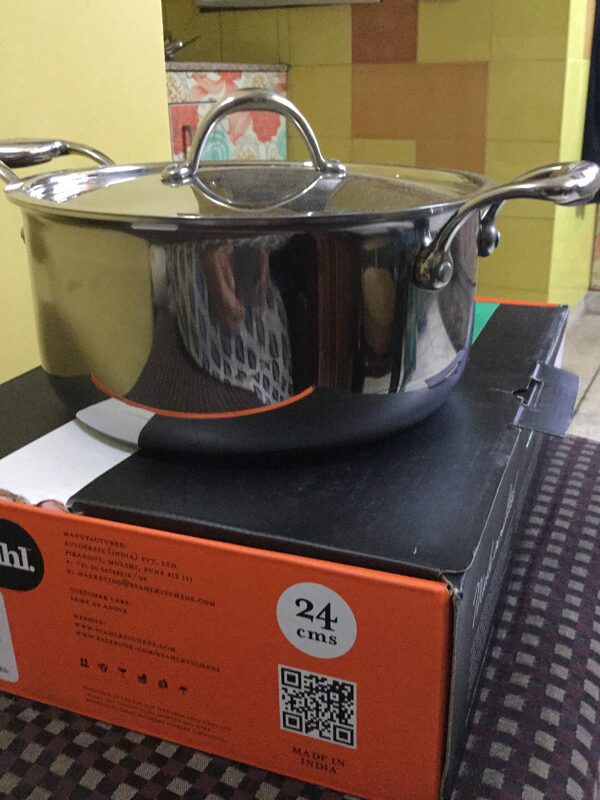 I looked at another set of casseroles on Amazon.com and Abhishek was ok to bring them with him. Finally as I was returning the Bergner monster casserole and searching for a smaller sized casserole, I came across this brand called “Stahl”. While the name sounds German, its an Indian company. I bought a 22″ casserole from them first and was just bowled over by its quality ! I have now bought a Kadai as well because I didn’t have a Kadai that could be used on the induction stove. You may be wondering what’s a casserole and a Kadai got to do with Mr. Modi … Here’s what they have to do. For a long long time, we Indians had lost our sense of pride in our products, in our culture, what we stand for and most of all, what we have to offer to the world at large. Mr. Modi has restored that lost pride – by trusting the poor, by focussing on the enterprise that young Indians have, by showcasing the best of India in every world forum and every time he addresses any world forum, every Indian, except the HMVs feels a sense of pride because our PM speaks eloquently and is so sought after by world leaders. I feel a sense of pride as I use the casserole and kadai everyday because its made in India, with the highest quality of steel (304) and its something that will last almost a lifetime. When was the last time you used such words for a product made in India ??? Isn’t it a change brought by the Modi Government ? I think it is. 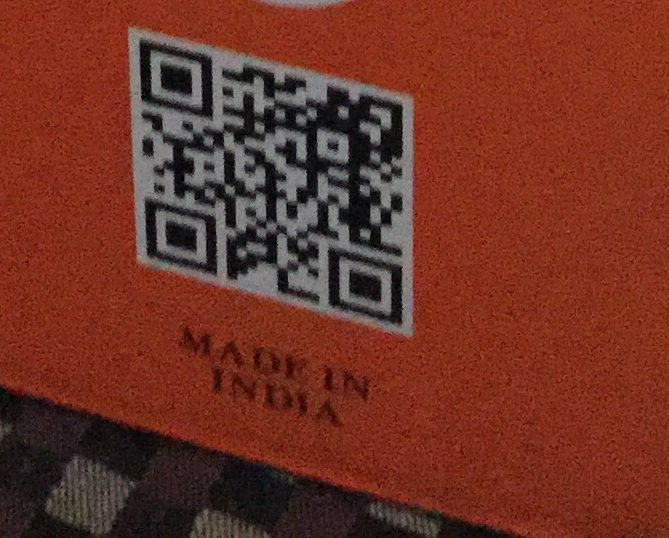 Look at the new age QR code and the “Made in India” tag. Even the packaging is outstanding. Love the tag “Made in India” on a quality product !! Abki baar phir MODI sarkar..